OneNote is a fantastic free alternative to Evernote The Best Evernote Alternative Is OneNote and It's Free The Best Evernote Alternative Is OneNote and It's Free The market is drenched in note-taking apps competing with Evernote. But there is only one serious Evernote alternative. Let us explain why that is OneNote. Read More , and offers a great place to keep all of your notes handy. Whether you primarily use the desktop app or jot notes on your phone, everything syncs up so it’s ready when you need it 12 Ways to Run Your Life Like a Boss With OneNote 12 Ways to Run Your Life Like a Boss With OneNote OneNote can be your one-stop-shop for everything from organizing information, via managing projects, to keeping a daily journal. 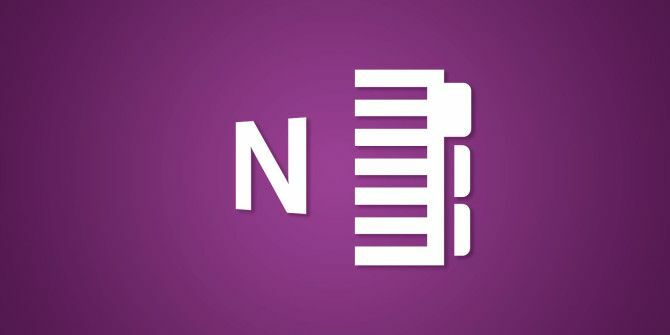 Here we propose a dozen ways in which you can use OneNote. Read More . One of the things that’s a bit difficulty in OneNote is changing a notebook’s name. You wouldn’t think that it would be so hard, as you can just right-click on a notebook in the OneNote app and visit Properties. You’ll see a Display name field here, but that comes with a disclaimer that it doesn’t affect the actual notebook folder name. With a bit of work, you can really change a folder’s name. Visit OneNote Online and sign in with your Microsoft account. On the My Notebooks page, click the link at the top-right that says Manage and Delete. This brings you to your OneDrive page where your notebooks are stored in the cloud. Next, you’ll need to find where your notebooks are stored. Check the Documents folder; mine were found in OneDrive Documents. Right-click on a notebook, and choose Rename to give it a new name. This actually renames the notebook itself, instead of just changing the display name if you edit in the app. Hungry for more OneNote? Check out little-known features you’ll love 7 Little-Known OneNote Features You Will Love 7 Little-Known OneNote Features You Will Love OneNote is 100% free and packed full of advanced features. Let's check out some of the ones you may have missed. If you're not yet using OneNote, these may win you over. Read More . Were you looking to change a OneNote notebook’s name? Let us know if you’ve ever renamed a book and share your best OneNote tips in the comments! Thanks for the instructions. Only place on the internet I found with sensible information and clear instructions.